NORTH HOLLYWOOD, Calif., July 23, 2013 (SEND2PRESS NEWSWIRE) -- As busy studio owner Lea Walker continues to raise the caliber of her dance and fitness center, Aeriform Arts, housing a community of top aerial instructors, one teacher has emerged as a real star. Antonio Martinez is giving the world a sneak peak at what Aeriform Arts' students have experienced first hand, his the amazing aerial alchemy. 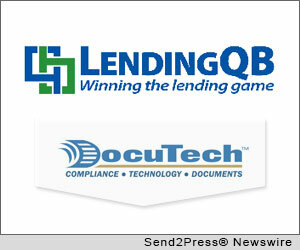 COSTA MESA, Calif., and IDAHO FALLS, Idaho, July 23, 2013 (SEND2PRESS NEWSWIRE) -- LendingQB, a provider of end-to-end loan origination software (LOS), and DocuTech, a leading provider of enterprise-class compliant document preparation software, have formed a partnership to integrate their platforms. LendingQB's browser-based LOS is now seamlessly integrated with DocuTech's ConformX system, enabling users to compliantly manage all aspects of document preparation directly from within LendingQB's LOS. ROSEVILLE, Calif., July 22, 2013 (SEND2PRESS NEWSWIRE) -- The High Technology Crimes Investigation Association (HTCIA) will unveil its first HTCIA CISO Summit on September 12, 2013 at the lavish JW Marriott Las Vegas Resort and Spa in Summerlin, Nevada. The CISO Summit, sponsored by McAfee, Cylance, Symantec, Essextec and InfoSecurity, will directly follow the 21st Annual HTCIA International Conference and Training Expo. This new event features a powerful lineup of speakers, including Stuart McClure (Cylance, Inc.) and Bryan Kenyon (McAfee). 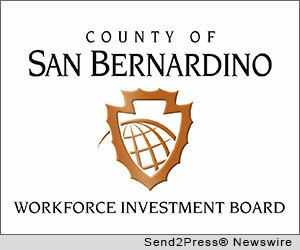 SAN BERNARDINO, Calif., July 22, 2013 (SEND2PRESS NEWSWIRE) -- The County of San Bernardino Workforce Investment Board announced today that it is accepting applications for its youth training and employment assistance program. The program has 503 openings for youth ages 17 to 21. SAN DIEGO, Calif., July 22, 2013 (SEND2PRESS NEWSWIRE) -- National University is the second-largest private, non-profit university in California and the 12th largest in the United States. With more than 23,000 students it was imperative to find a financial aid management solution that would drive automation and support their complex packaging and repackaging needs. Regent 8 was selected based on its advanced packaging and automation capabilities, as well as its unique ability to support all enrollment models. 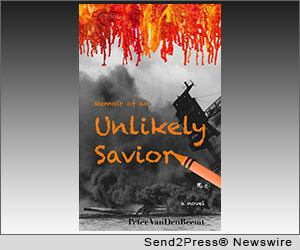 NEW YORK, N.Y., and CHIANG MAI, Thailand, July 22, 2013 (SEND2PRESS NEWSWIRE) -- Author Peter VanDenBeemt announces the publication of his new novel 'Memoir of an Unlikely Savior' (ISBN: 1490939172 / EAN13: 9781490939179) available through CreateSpace, Amazon, and other retail outlets. The novel tells the story of a man who fights to overcome his autistic childhood - and succeeds. NEW YORK, N.Y., July 22, 2013 (SEND2PRESS NEWSWIRE) -- James Allen, one of the leading online bridal jewelry retailers, announced today that it has expanded its collection of fancy color diamonds to include over 1,000 rare and beautiful stones. Currently, customers can design their own engagement ring and choose from a wide selection of canary yellow, pink, blue, green, orange and chocolate brown colored diamonds as a center stone. 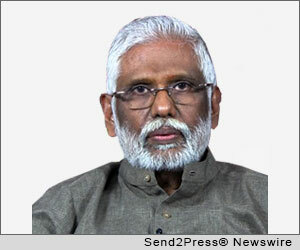 SAN DIEGO, Calif., July 19, 2013 (SEND2PRESS NEWSWIRE) -- On July 28, Pillai Center For Mind Science will host a free live-stream webcast to present the power of sounds to increase intelligence. The free webcast will provide a forum for collaborative discussion to researchers, doctors and mystics worldwide. SOUTH LONDONDERRY, Vt., July 18, 2013 (SEND2PRESS NEWSWIRE) -- There's hope for 'ugly shed' owners. Jamaica Cottage Shop, Inc. is hosting its first-ever 'Ugly Shed' contest where the owner of the ugliest shed will win a beautiful new wooden shed. And, it's free to enter. 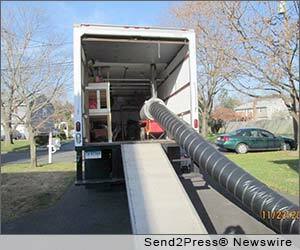 STRATFORD, Conn., July 18, 2013 (SEND2PRESS NEWSWIRE) -- In its 5th year of business and hundreds of bed bug inspections performed, Bed Bug Finders LLC announces a service option for eradication of bed bugs by means of a unique heat treatment process. NEW YORK CITY, N.Y., July 17, 2013 (SEND2PRESS NEWSWIRE) -- With the announcement of no longer selling Norton Ghost from Symantec, many people have sought out a Norton Ghost alternative, which can 100 percent protect their data. 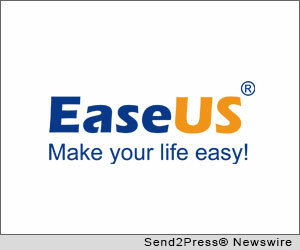 Luckily they find EaseUS, an innovative software developer for providing cost-effective solutions for data protection which offers a best free Norton Ghost alternative - EaseUS Todo Backup Free for all computer users. 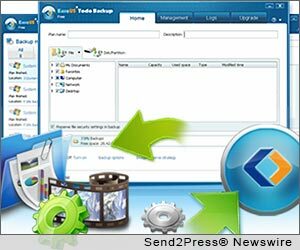 HONG KONG, July 17, 2013 (SEND2PRESS NEWSWIRE) -- According to Cloud Backup, 29 percent of data loss occurs due to human error. The information lost is not always destroyed and unrecoverable if proper steps are taken to recover it within a short period of time. SharpNight has just updated their popular software, 7-Data Card Recovery, with optimizations focusing on video and photo recovery. SIGNAL HILL, Calif., July 16, 2013 (SEND2PRESS NEWSWIRE) -- There are smiles on the faces of more children and families this summer - smiles very familiar to one local food bank. 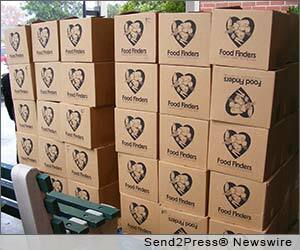 For the third year in a row, Food Finders is hosting its 'Summer To End Hunger' food drive. This drive aims to fill in the hunger gaps where school breakfast and lunch programs end. Strategic Data Services Aimed at US Businesses Will Hit $30 Billion by 2018, according to Insight Research Corp.
DURANGO, Colo., July 16, 2013 (SEND2PRESS NEWSWIRE) -- Insight Research projects that the aggregate market for a key group of data services will grow two to three times the rate for basic transport services over the next five years. With many voice and legacy data services declining, these advanced strategic services represent the highest growth areas for telecom services targeted to U.S. businesses. 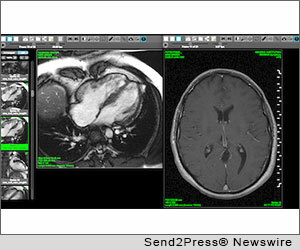 DURHAM, N.C., July 16, 2013 (SEND2PRESS NEWSWIRE) -- Heart IT, the global leader that pioneered the first FDA approved zero-footprint medical imaging workstation, announced today the release of Version 8 of their flagship products: WebPAX(R) PACS and Universal Viewer. DALLAS, Texas, July 15, 2013 (SEND2PRESS NEWSWIRE) -- Orange Leap announced today that its Shine Brighter Series of webcasts for nonprofits will feature Adam Roth, CEO of StreamLink Software presenting 'Maximizing Board Engagement and Effectiveness' on July 25, 2013. 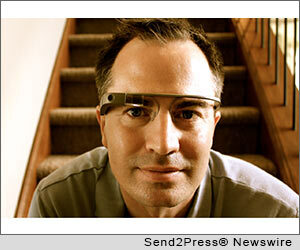 TORONTO, Ontario, July 12, 2013 (SEND2PRESS NEWSWIRE) -- London ON-based tech entrepreneur, David Ciccarelli, CEO and co-founder of Voices.com, is the very first Canadian to experience Google Glass as a Google Glass Explorer. He joins just 8000 other people around the world as a Glass Explorer, and is only 1 of eventually 3 Canadians to sport the 'coolest specs' in Canada as a Google Glass Explorer. LONDON, U.K., July 11, 2013 (SEND2PRESS NEWSWIRE) -- UKmarriageVisa, a full service immigration consultancy specializing in U.K. family immigration with an emphasis on U.K. fiancee, partner and spousal visas, today announced that the new financial requirements introduced by the UK Border Agency (UKBA) are creating misery for thousands of couples seeking to reunite in the U.K.
NEW YORK, N.Y., July 10, 2013 (SEND2PRESS NEWSWIRE) -- In case you missed it: EaseUS Software, the leading data recovery software brand, has released the world's first free iPhone data recovery software - EaseUS MobiSaver Free. The big breakthrough allows hundreds of millions of iPhone users easily and freely to get their lost data back. CAMBRIDGE, U.K. and ACTON, Mass., July 10, 2013 (SEND2PRESS NEWSWIRE) -- XJTAG today launched a new product, XJInvestigator, an advanced analysis and debug tool for use in the production of electronics. XJInvestigator is available as part of XJTAG's latest v3.1 JTAG boundary scan software release. XJTAG's tools are used across the product life cycle from development and prototyping into production.